Life is not easy for the poor relations of England’s upper crust, but fate and clever schemes bring them together. Lady Fortescue and Colonel Sandhurst hatch a plan: What if they were to transform her decrepit Bond Street home into a posh hotel, offering their guests the pleasure of being waited upon by nobility? With the help of other down-and-out aristocrats, they do just that, and London’s newest hotel, the Poor Relation, is born. The establishment is an immediate hit with London’s most illustrious citizens, save the Duke of Rowcester, Lady Fortescue’s nephew. Rowcester believes that his aunt’s entry into the trade will denigrate their family name and is determined to shut the hotel down—until he meets Miss Harriett James, the lovely young woman who accepts Lady Fortescue’s offer to become the Poor Relation’s chef after the death of her parents and the loss of her fortune. Rowcester moves into the Poor Relation for the season—ostensibly to keep an eye on his aunt’s business. Life is not easy for the poor relations of England’s upper crust, but fate and clever schemes bring them together. Lady Fortescue and Colonel Sandhurst hatch a plan: What if they were to transform her decrepit Bond Street home into a posh hotel, offering their guests the pleasure of being waited upon by nobility? With the help of other down-and-out aristocrats, they do just that, and London’s newest hotel, the Poor Relation, is born. The establishment is an immediate hit with London’s most illustrious citizens, save the Duke of Rowcester, Lady Fortescue’s nephew. 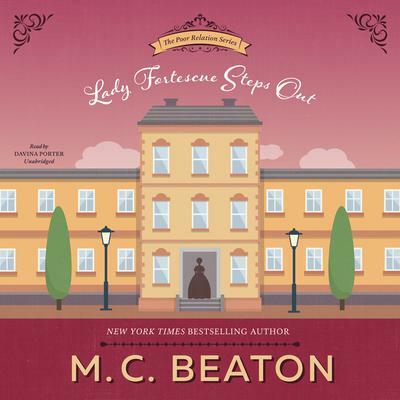 Rowcester believes that his aunt’s entry into the trade will denigrate their family name and is determined to shut the hotel down—until he meets Miss Harriett James, the lovely young woman who accepts Lady Fortescue’s offer to become the Poor Relation’s chef after the death of her parents and the loss of her fortune. Rowcester moves into the Poor Relation for the season—ostensibly to keep an eye on his aunt’s business.